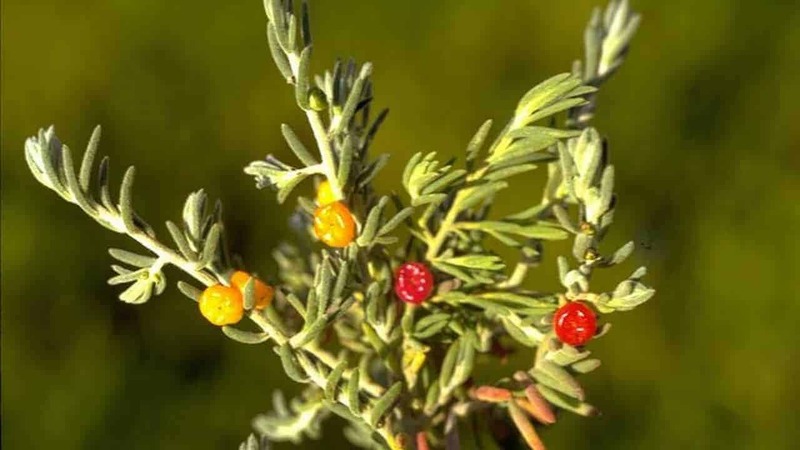 Ruby Saltbush is a quaint succulent bearing small berries with a crisp, salty-sweet flavour. It grows in every state across mainland Australia, typically found in the salt marshes of our tropical, sub-tropical and temperate regions. This species fruits and flowers year round, producing edible berries about 5-8mm in diameter, ranging in colour from yellow to red. Berries may be eaten raw or soaked in water to make a sweet tea. The leaves are also edible, but as they’re rich in oxalates, they should be cooked before eating, or consumed sparingly. To harvest, simply pluck the berries and leaves off the main plant. Ruby Saltbush is a very hardy, woody, low-growing shrub with fleshy green leaves that are covered in fine white hairs. It prefers full sun but will also grow in dappled shade. It handles most soil and weather conditions; a healthy plant will survive saline soil, sandy soil, long droughts and even some frost. Expect an outwardly spreading growth, with a height of up to 1m. This plant is perfect for gaps, groundcover and pots, where it may attract birds and other garden critters seeking food and shelter. What can I do to help my Ruby Saltbush grow faster? Reasons for a slow-growing Ruby Saltbush include cold weather, insufficient sunlight and low soil quality (though this species is adapted to poor sandy soils). Move your plant to a sunnier spot and enrich the soil with a slow-release or organic fertiliser every six months. Why is my Ruby Saltbush turning brown and soft? Ruby Saltbush is sensitive to overwatering, and can rot in soil that’s waterlogged or too moist for prolonged periods. Ensure your soil is draining properly, and avoid mulching all the way up to the stem. 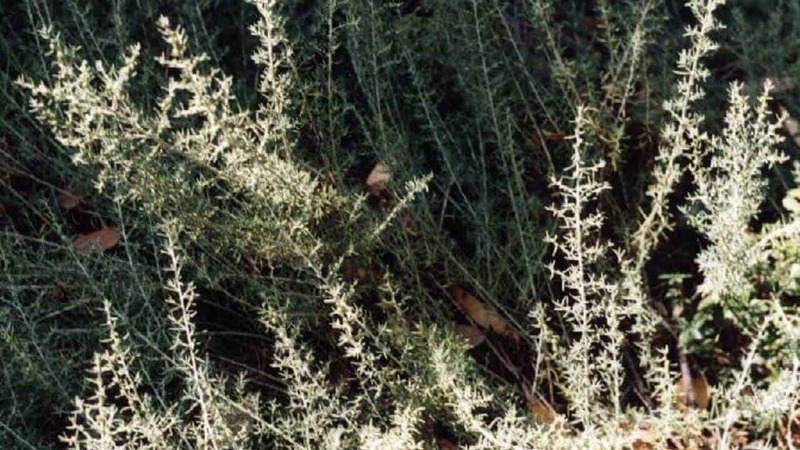 What pests and diseases should I look out for in my Ruby Saltbush? Although Ruby Saltbush hosts a range of pest and beneficial insect species, it is rarely damaged in any significant way. No major plant diseases are known to affect this species.